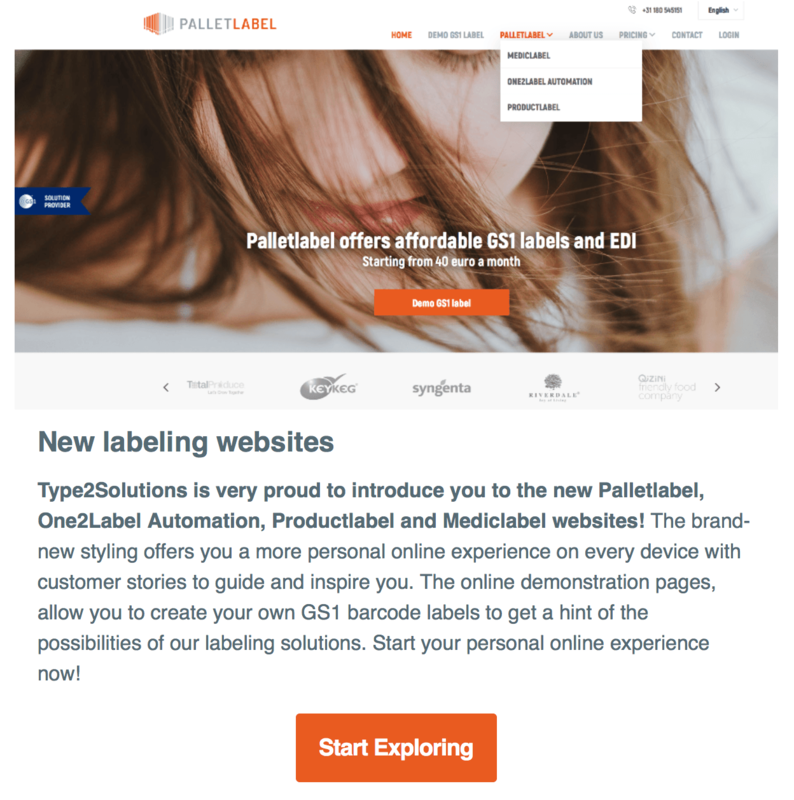 Type2Solutions is very proud to introduce you to the new Palletlabel, One2Label Automation, Productlabel and Mediclabel websites! The brand-new styling offers you a more personal online experience on every device with customer stories to guide and inspire you. The online demonstration pages, allow you to create your own GS1 barcode labels to get a hint of the possibilities of our labeling solutions. Start your personal online experience now!